Entrepreneurial ecosystems that innovate and thrive can only excel when we as community college leaders leverage assets in new and creative ways and structure strong support systems to help such ideas flourish. Wearing the entrepreneurial hat enables you to be imaginative, original, innovative, and even a little outlandish – all in the noble pursuit of finding better and more efficient ways to craft new solutions. And, these are not just solutions you need today, but a year, three years, or a decade in the future. As the former president of GateWay Community College, founding president of Maricopa Corporate College, and now in my role as chancellor of Tarrant County College District, I continue to seek new ways of thinking at every stage of my professional journey. Each of these positions provided me with vital experiences of building an entrepreneurial mindset and strategy and a narrative to help others map their own entrepreneurial ecosystems. This work began with the creation of the Center for Entrepreneurial Innovation (CEI). In 2002-2003, the Flinn Foundation commissioned a study for the Phoenix area to develop a roadmap for where the state of Arizona should be in the bioscience industry. From this study came recommendations that specifically spoke to entrepreneurship - the need for wet lab and rentable research space and a business incubator for start-ups in technology, energy, biosciences, and software. The goal was to offer not only a physical facility, but also a model that afforded accessibility and scalability for what companies needed today, tomorrow, and years to come – all with the goal of job creation at its core. At the time, I was at GateWay Community College, part of the Maricopa Community Colleges system. A funded proposal from the U.S. Department of Commerce’s Economic Development Administration (EDA) ultimately resulted in funding from Maricopa Community Colleges, the City of Phoenix, the EDA, and a corporate donation through Blue Cross & Blue Shield of Arizona to help address a regional issue that we hoped would result in enduring, positive economic impact on the city. By engaging in the Flinn Foundation study and listening and responding to the needs of our community, CEI, which was housed on the GateWay Community College campus, was born. We created an ecosystem of entrepreneurs, an environment that invested in its entrepreneurial community and a mindset promoting access, growth, and sustainability. This idea resonated because it represented much more than a real estate deal and was intrinsically driven by programmatic services. CEI was an 18,500-square-foot incubator located strategically along the Metro Light Rail with close proximity to the Sky Harbor Airport. Other amenities included 15 fully-furnished suites/offices, nearly 10 wet labs with fume hoods, six advanced manufacturing spaces, multiple conference rooms and a break room, state-of-the-art presentation technology, Wi-Fi Internet access, 24/7 access and security, a climate-controlled server room, and computer and printer workstations for mentor and affiliate client offices. It was truly a place where ideas grew and the ecosystem thrived because every program and job created was initiated with purpose. CEI was a driving force behind the development of the Discovery Triangle. The Discovery Triangle is a 25-square-mile economic redevelopment area that spans the urban communities of Phoenix, Tempe and Scottsdale. CEI and GateWay Community College were geographically and strategically located in the middle of the Discovery Triangle, creating the anchors for this concept. With a motivated and eager team, we mapped the area, highlighting assets, land, warehouses, and potential innovation incubators. We helped recruit businesses to launch here, promoted the effort through local Chambers of Commerce, and maximized opportunities for the developing Light Rail system. CEI’s proven concept, physical space, and support through programmatic offerings helped us leverage and attract other interested parties. As CEI clients came on board, the program provided more resources in assisting entrepreneurs and their businesses than many of them had received before. Services included open-book accounting, monthly/quarterly reviews in partnership with the Maricopa Small Business Development Center (SBDC), an onsite intellectual property attorney, 3D printing capabilities, and a competitive intelligence lab. 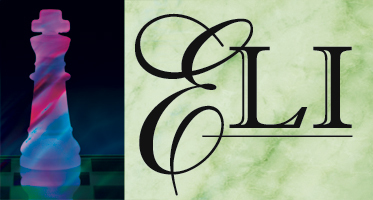 CEI helped in-house and virtual clients and entrepreneurs follow a script to better determine their needs. Today, clients continue to benefit from the center’s business counseling and mentoring, as well as its state-of-the-art facility to commercialize their businesses. CEI serves as a critical example for building an entrepreneurial ecosystem. If you encourage the creation of networks, partnerships, and support in and around your entrepreneurs, your people, and your clients – and this new mindset and movement for innovative collaboration – will flourish. Helping people see the vision (internally and externally) is not always easy. When building an entrepreneurial ecosystem and responding to community needs and recommendations, your team can help you expand perspectives. You want people around who are emotionally invested in this shared vision. Approaching this process through a team-oriented and pragmatic lens gives you as an institutional leader an advantage. The CEI concept is an example of building an entrepreneurial ecosystem. You can take similar planning processes and principles to explore concepts and the entrepreneurial mindset approach further. Whether it’s in your college, region and/or community, what is most important is that you begin with the end in mind – a concept introduced by well-known leadership guru and author, Stephen Covey. What is the mission of your college and how can you leverage this to create meaningful impact for the economy? Where do you envision campus and community partnerships? How do these connect to initial needs and recommendations? These answers will help launch and propel your ideas forward. While community colleges have traditionally focused on providing students with opportunities to gain credentials for employment, the increasingly important question is, are they preparing students for the looming dynamic, disruptive, and entrepreneurial environments ahead? 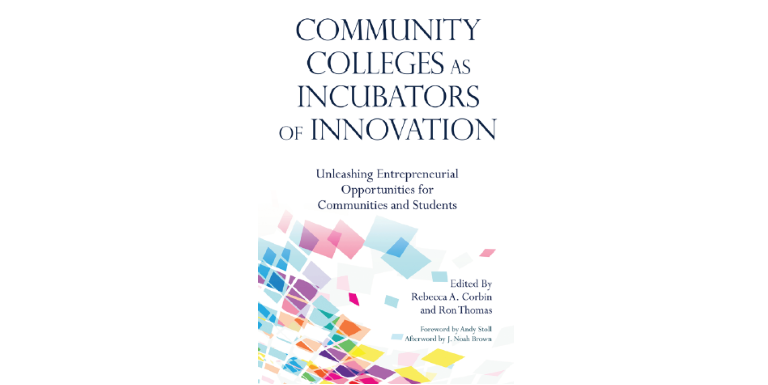 This book addresses the urgent need for community colleges to prioritize entrepreneurship education both to remain relevant in a changing economy and to graduate students with the flexible and interdisciplinary mindsets needed for the future of society. It argues that entrepreneurial education should be offered broadly to a wide range of students, and across all disciplines; defines the key constructs for achieving this objective; and describes how to create entrepreneurial learning environments. The book’s expert contributors, with the support of NACCE, start from the premise that community colleges are uniquely positioned to lead entrepreneurial initiatives through both internally generated curriculum design and through collaboration with the local entrepreneurial community to build bridges between the classroom to the community, which in turn can offer models of implementation and constitute a network or support system for students. Community colleges can become incubators of innovation, a magnet for talent, and provide the impetus for development strategies that their communities have not begun to realize. Click here to learn more. 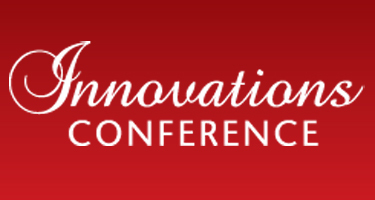 This issue of Leadership Abstracts is an excerpt from Dr. Giovannini’s chapter in NACCE’s new book, Community Colleges as Incubators of Innovation: Unleashing Entrepreneurial Opportunities for Communities and Students, February 2019, Stylus LLC. Click here to order. Receive 20% off your order by using the code CCIN20 at checkout. Offer expires December 31, 2019. Eugene Giovannini, Ed.D., is Chancellor for the Tarrant County College District in Fort Worth, Texas.